When you outsource your HR department, you can use your resources more effectively without compromising on the level of support you give your employees. Outsourced HR teams can also help ensure you remain in compliance with all industry and legal regulations, including labor laws. As you consider outsourcing this critical business function, it is very important that you know the difference between HR vendors vs HR partners. Although these two options are similar, only one offers the level of service and support you need to reach your goals. Use this guide to learn why HR partners are the best choice. HR vendors tend to take a one-size-fits-all approach that just does not work well for most companies. They often focus on upselling their products rather than personalizing the service package to your specific business needs. As a result, they seldom deliver what you need and you may find that their solutions fail to fit your unique situation and resources. In the end, the approach taken by HR vendors does very little to instill trust in their products and services as the leading solutions on the market. Without the right solutions for your company, your HR department will not have the support it needs to thrive and grow. Your employees may also lack the HR services needed to maintain high productivity levels and remain satisfied with their jobs. Therefore, unless cookie-cutter services actually work for your business, you are better off selecting an HR partner instead of an HR vendor. HR partners take a different approach, which reflects their dedication to providing personalized service and dedicated support. 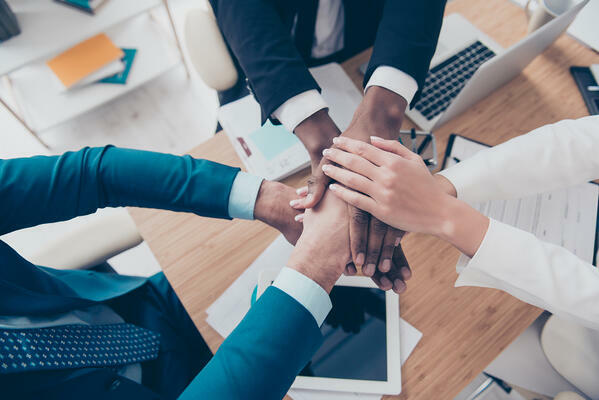 These organizations often describe themselves as a team their clients can count on in building a successful business – and it is definitely not all talk. HR partners make big promises and uphold them by providing the quality service as described. They effectively collaborate with their clients to provide workable solutions rather than relying on a cookie-cutter approach. To build your personalized HR service plan, they ask all the right questions to learn about the needs of your company. In this way, you always receive solutions that work for your company in particular. In order to help you reach your goals, HR partners provide advice and guidance every step of the way, including to check that the provided solution is working. With a single call, you can acquire their help in enacting smart strategies and processes that optimize your workflow and improve job satisfaction of all your employees. Also, HR partners do not shy away from sharing what you need to hear to ensure you remain in compliance with labor laws. You can find an HR partner by looking for a professional employer organization, or PEO. Here at PRemployer, for example, our staff, products, services and systems work together to provide solutions that help our clients remain efficient and compliant. We also show complete consistency in helping client companies abide by government regulations, laws and rules. By partnering with an organization that acts as a “co-employer” like PRemployer, you can rest assured that your HR operations fully support the success of your business. HR vendors just cannot compare to the expertise and support offered by a true HR partner. As vendors fail to meet their clients’ needs, partners step up and ensure every client receives personalized solutions. As you navigate the process of looking for an HR partner, make sure to use this information to stay on course. And learn more about PRemployer and how we can help improve your HR operations and grow your business. Welcome to the PRemployer Blog! You'll find educational resources, best practices, and business tips created for business owners and leaders. We cover topics including human resources management, PEO, compliance, risk management, staffing, and more. Learn more about who we are here.